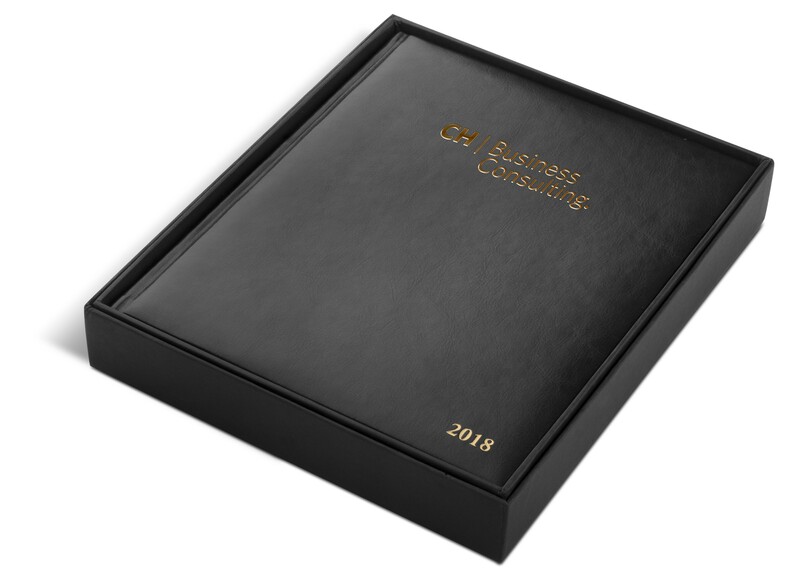 Looking for some year end gifts? 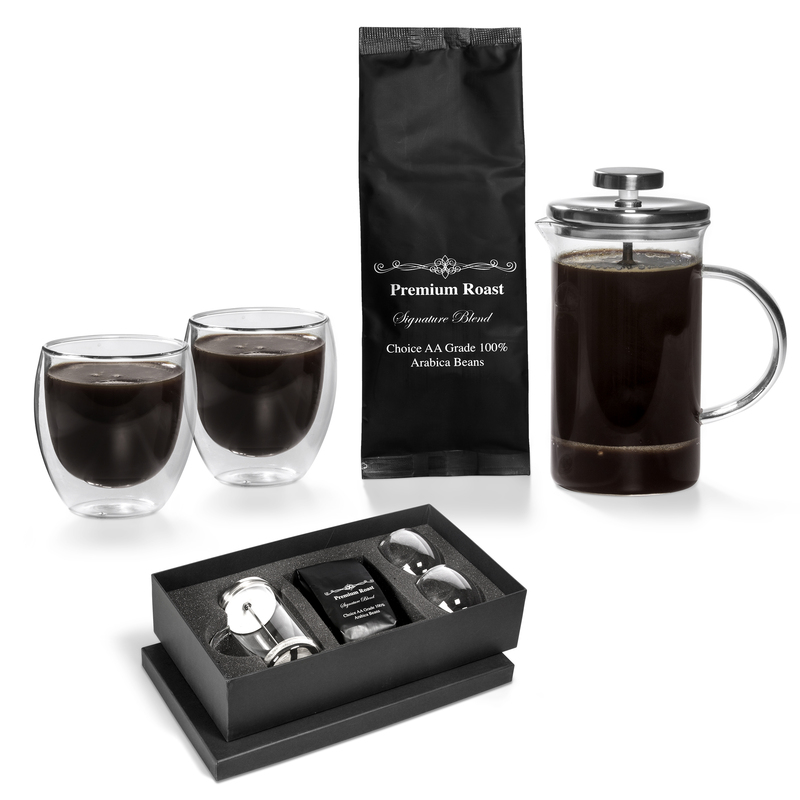 Here are some of our best selling year end gift ideas. 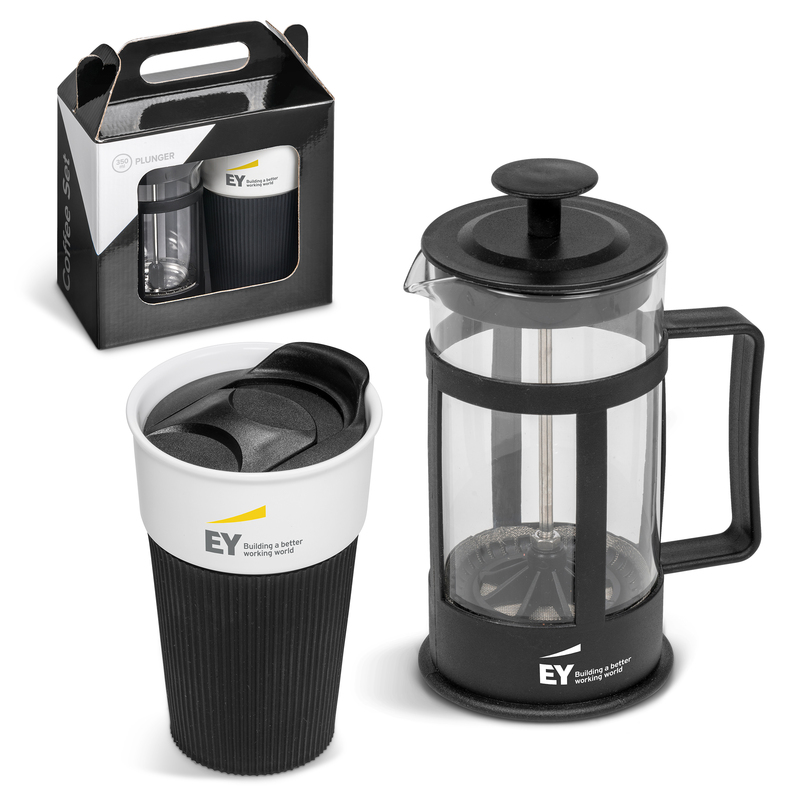 Corporate gifts from R70 – R1100 ex vat. Sold with or without branding. We service both corporates and individuals so feel free to shop for your friends and family too. 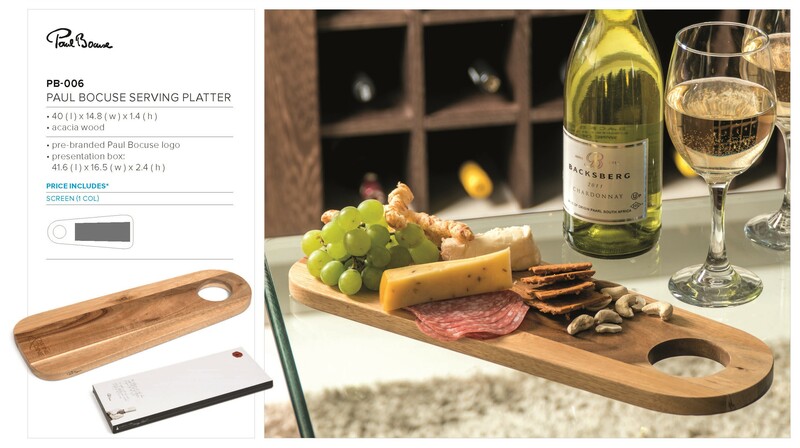 No minimum order quantities apply. Colour co-ordinated, elasticated closure and pen loop. Comes in grey, blue and black. 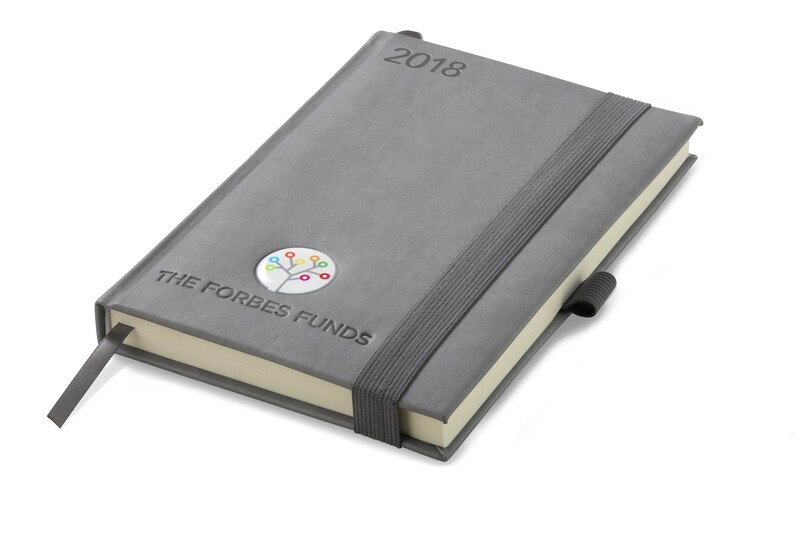 Year end gift ideas. 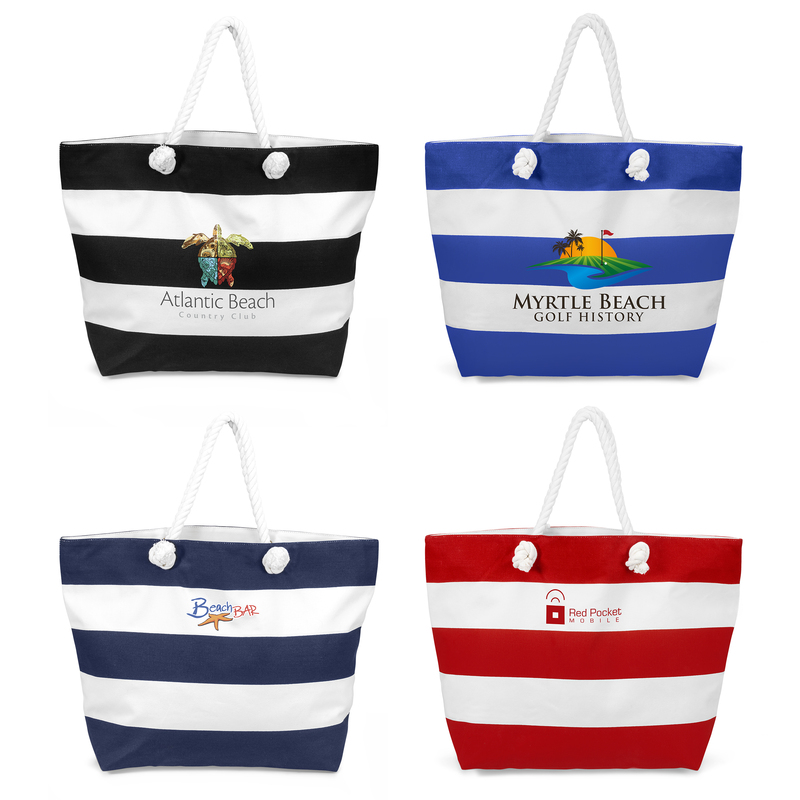 Absolutely stunning maritime beach bag . Available in 5 stylish bright refreshing colours. Spacious & versatile. Comfortable cotton cording double handles. 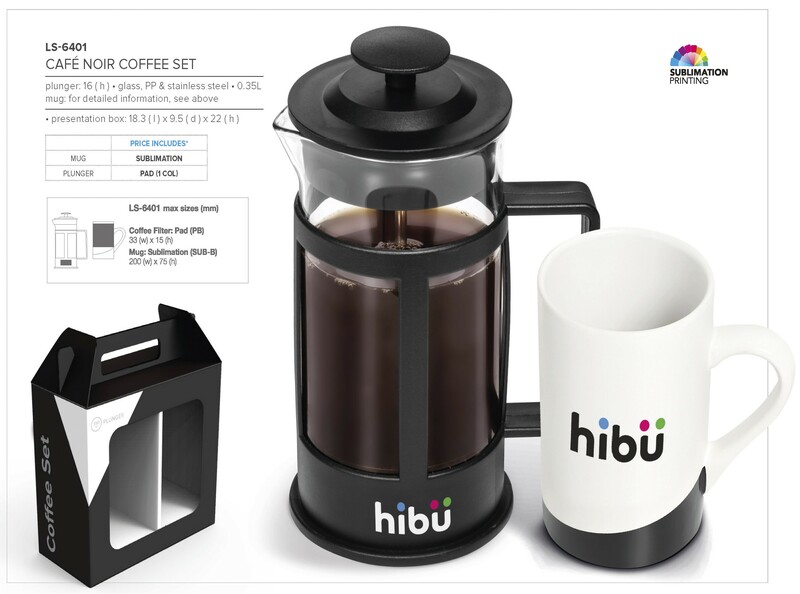 Year end gifts. 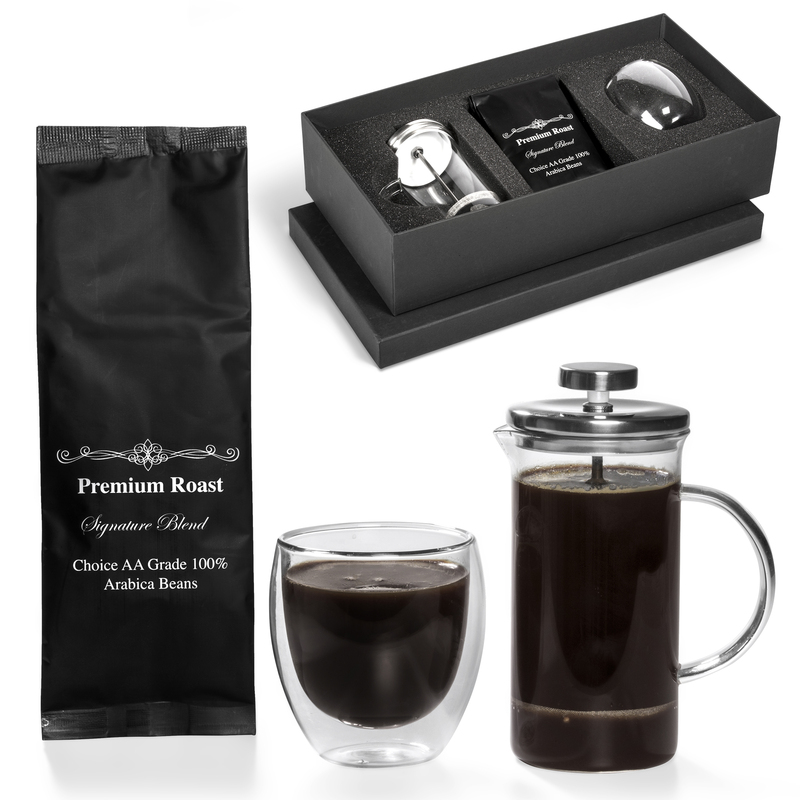 Generously sized glass plunger with heat resistant band and durable heat resistant black plastic handle and plunger top. 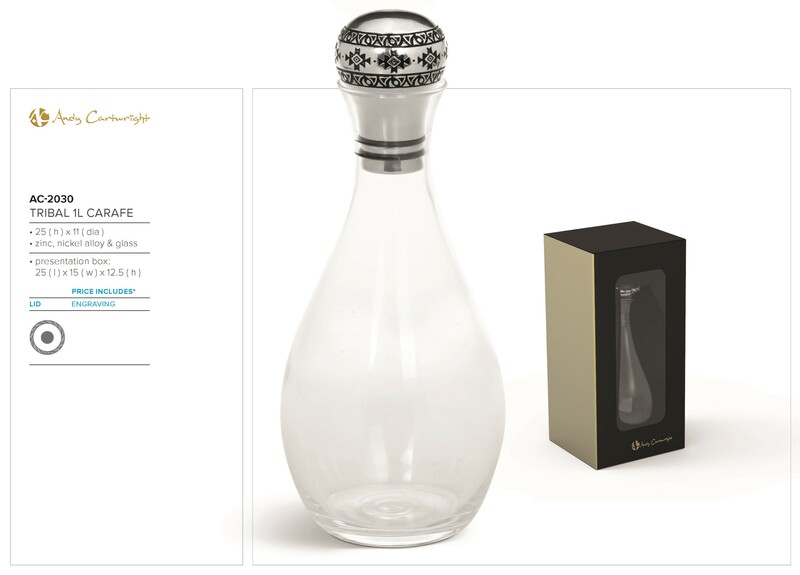 Plunger: glass, PP & stainless steel : 0.35L. 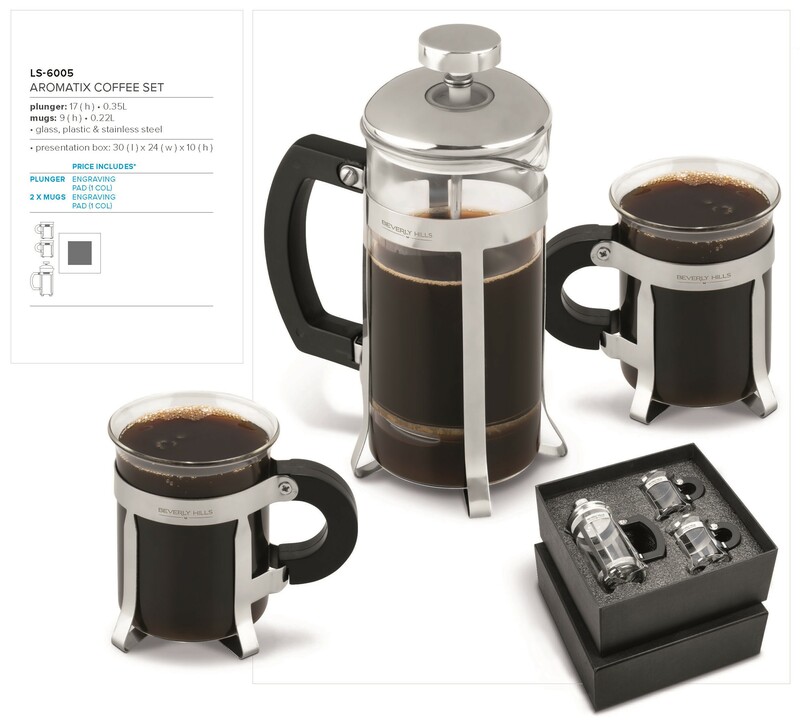 Mug: AB grade ceramic • 0.33L. 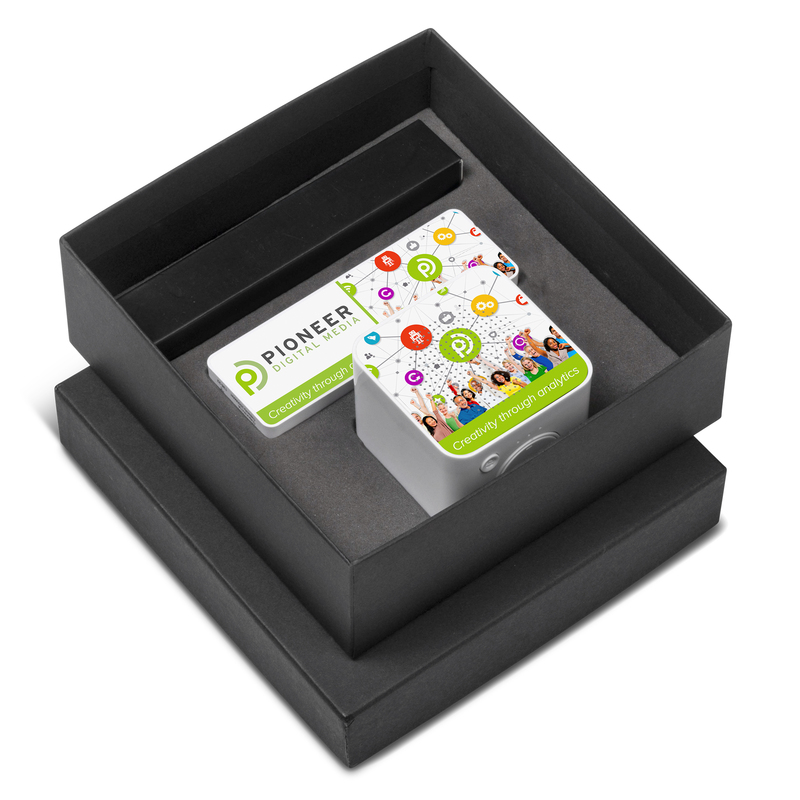 Pre-branded presentation box: 18.3 ( l ) x 9.5 ( d ) x 22 ( h ). 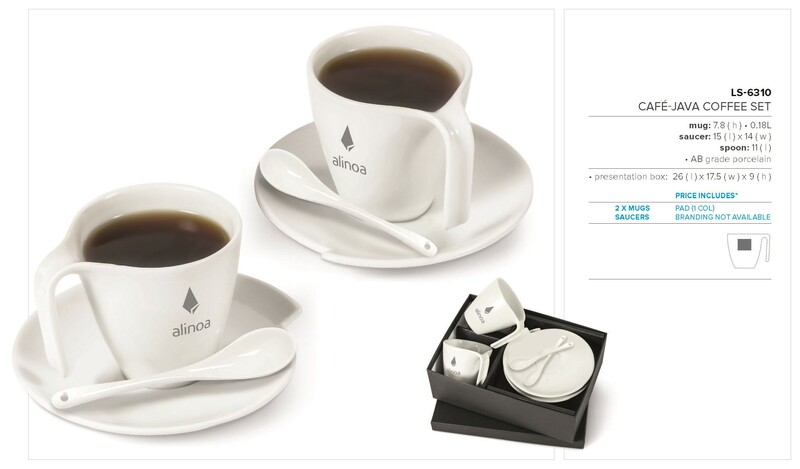 High quality white porcelain set with a classic shape . 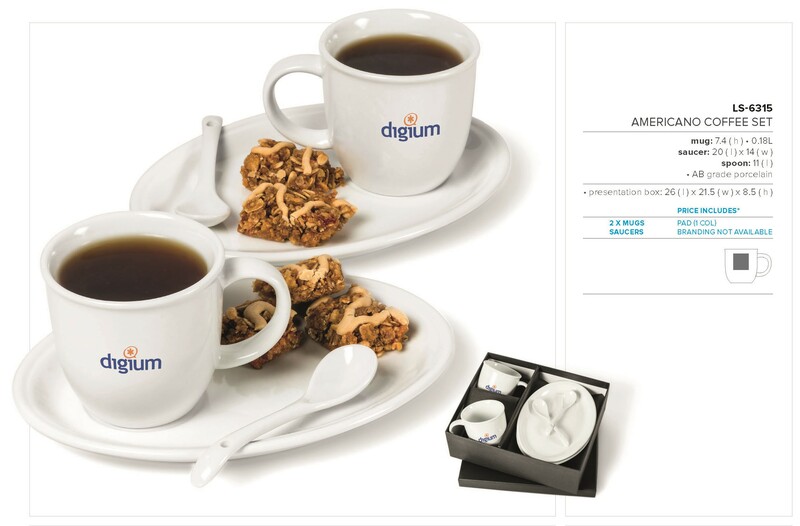 AB grade porcelain 2 x mugs: 0.18L saucers: 15 ( l ) x 14 ( w ) spoons: 11 ( l ) presentation box: 26 ( l ) x 17.5 ( w ) x 9( h ). 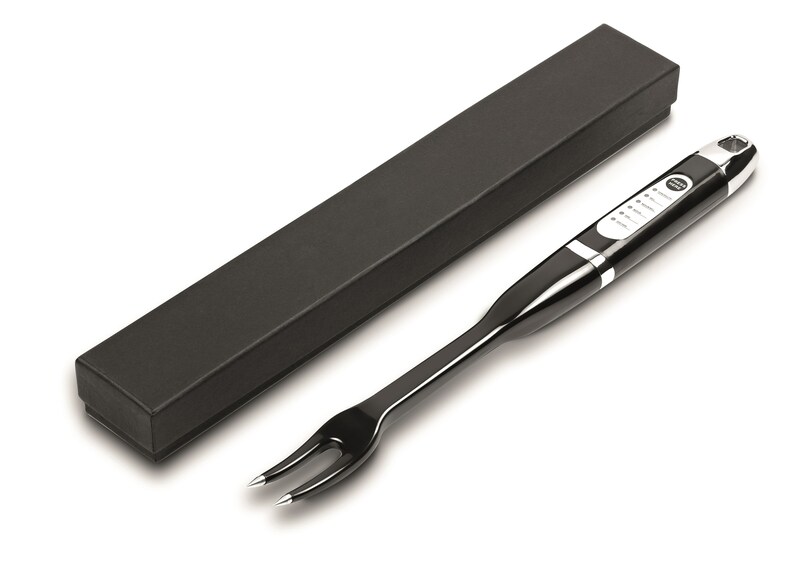 A useful outdoor gift. 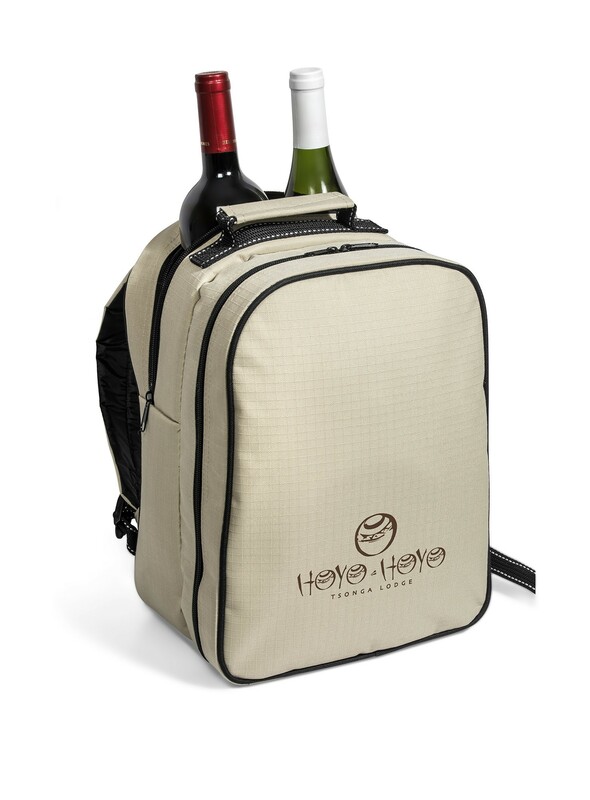 Folds into a neat carry bag. Polyester fleece & 600D : Open: 132 ( l ) x 124 ( w ). Folded: 30.5 ( l ) x 16.5 ( w ) x 10.2 ( h ). 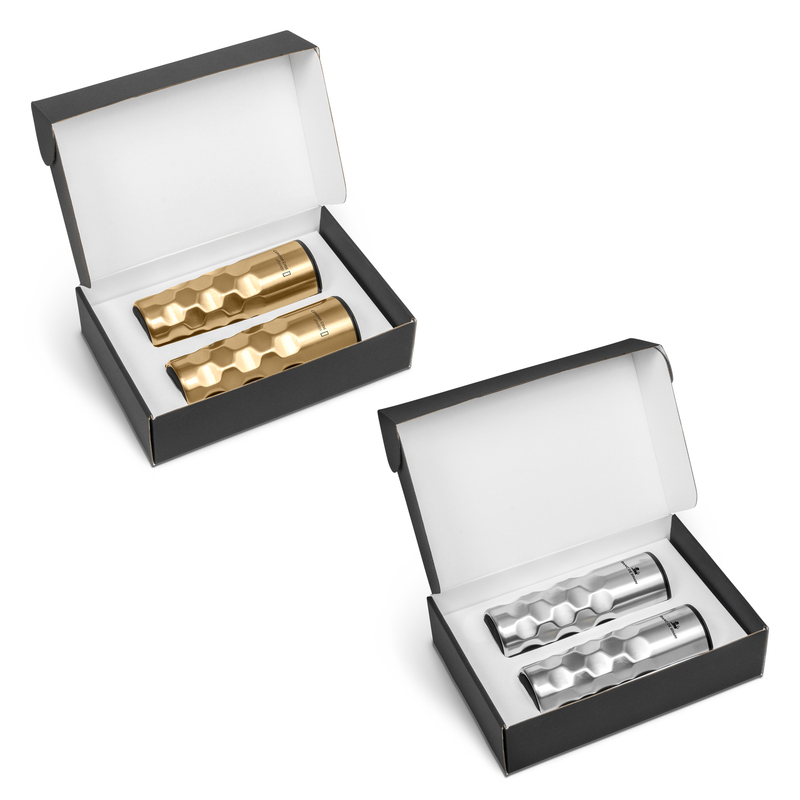 PU & stainless steel with gunmetal finish.Year end gift ideas. Generously sized glass plunger with heat resistant black plastic band and durable, heat resistant black plastic handle and plunger top. This stunning chair is supplied with a white base only and a selection of 8 back rest colours to choose from. 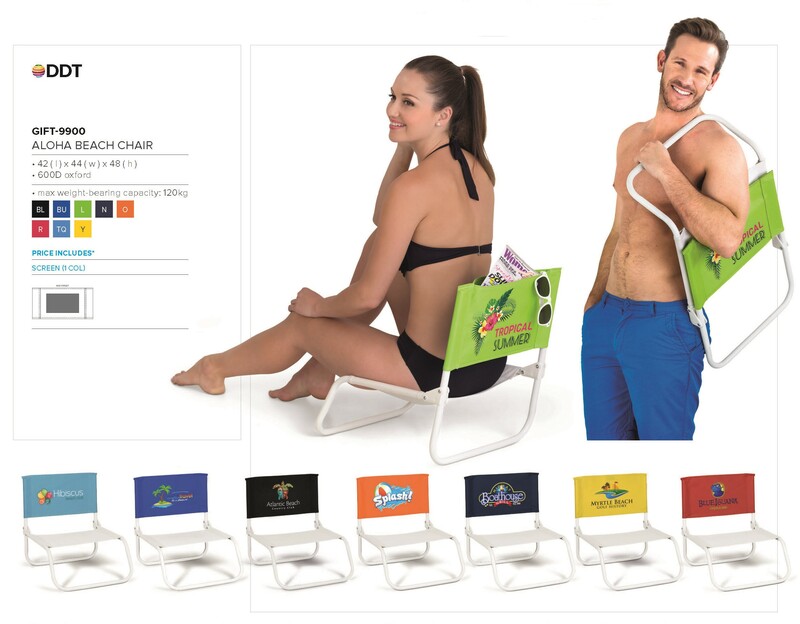 Please indicate the back rest colour you require when placing your order. 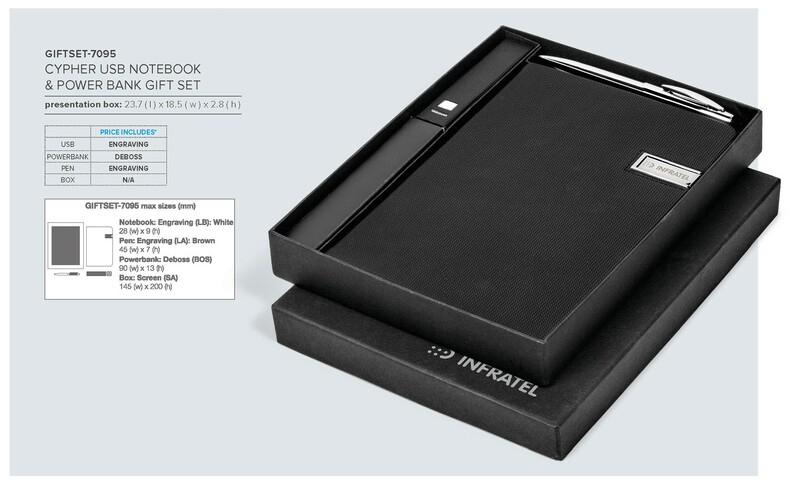 Max weight-bearing capacity: 120kg • 600D oxford : 42 ( l ) x 44 ( w ) x 48 ( h ). Versatile & convenient. 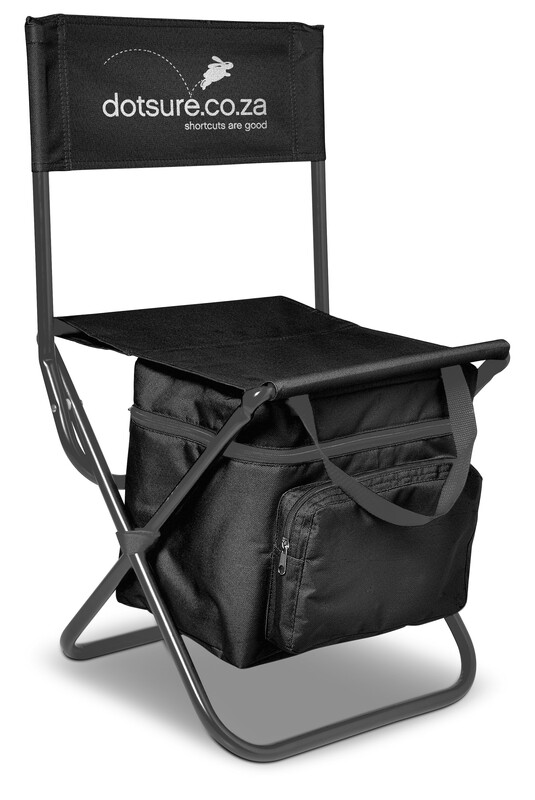 Top main zippered compartment with PVC lining holds 12 cans. 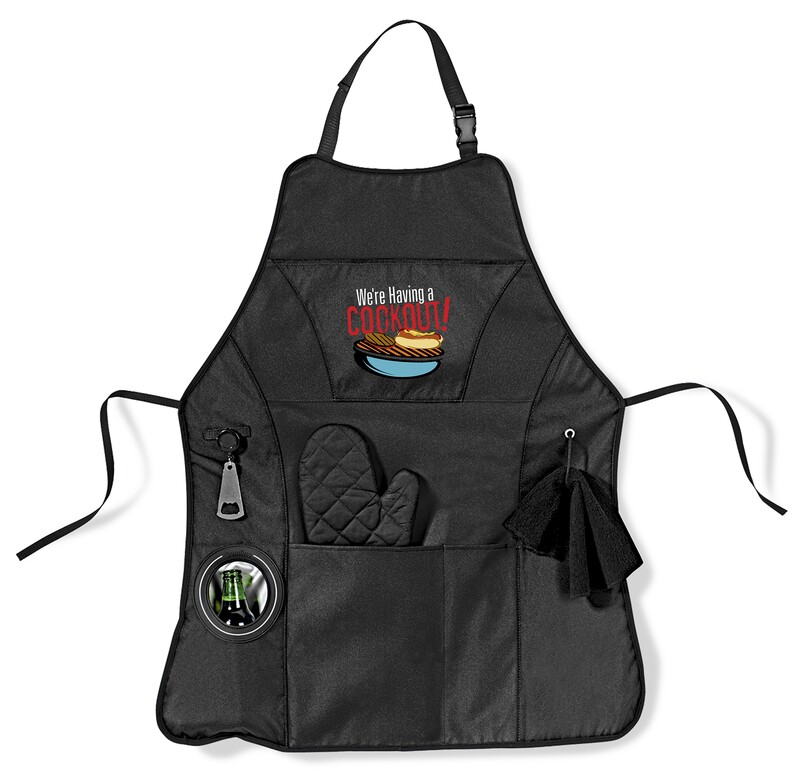 Front slip pocket with 3 x BBQ tools with wooden handles. 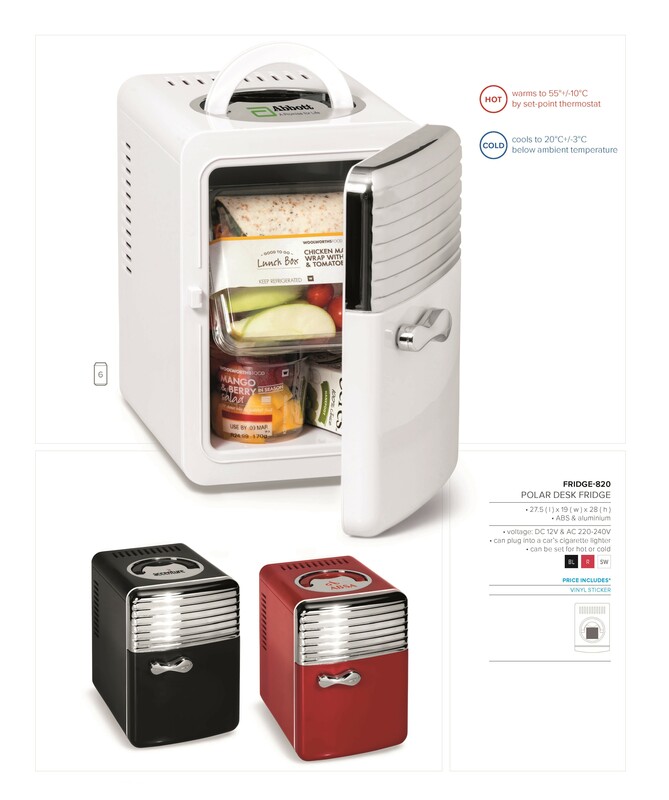 Bottle opener attached to cooler. Side mesh pocket. Recessed plaque for domed sticker application attached to top lid. Adjustable , removable shoulder strap. 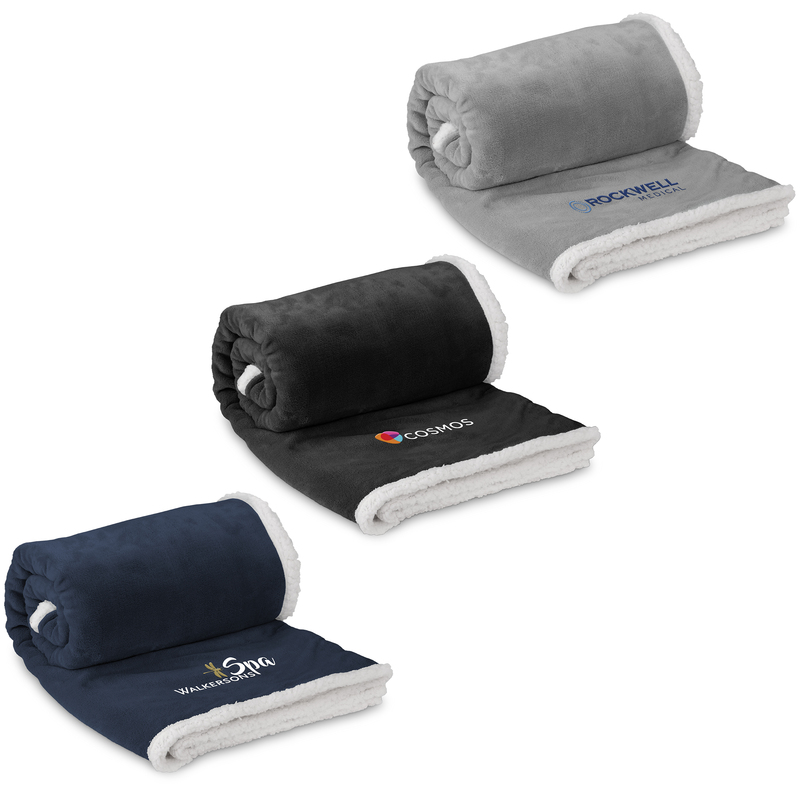 150 ( l ) x 130 ( w ) / side 1: 220 g/m² coral fleece / side 2: 200g/m² sherpa.Year end gift ideas. 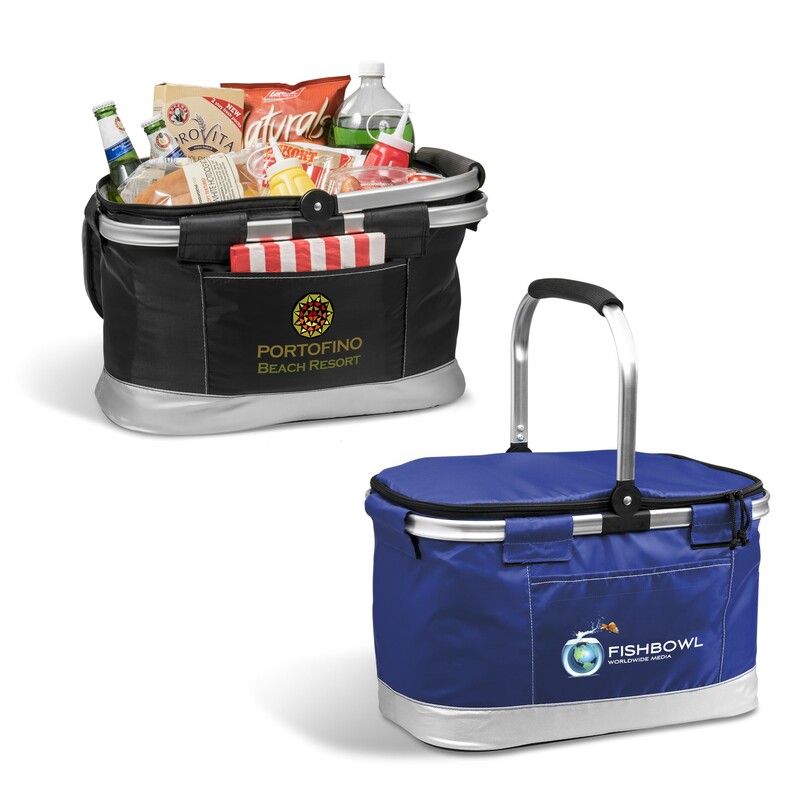 Ideal stylish design with a collapsible metal frame & handle for easy storage or transportation. Holds up to 30 cans. Very large main U- zippered compartment . Front slip pocket enhanced stitching. PEVA lining. 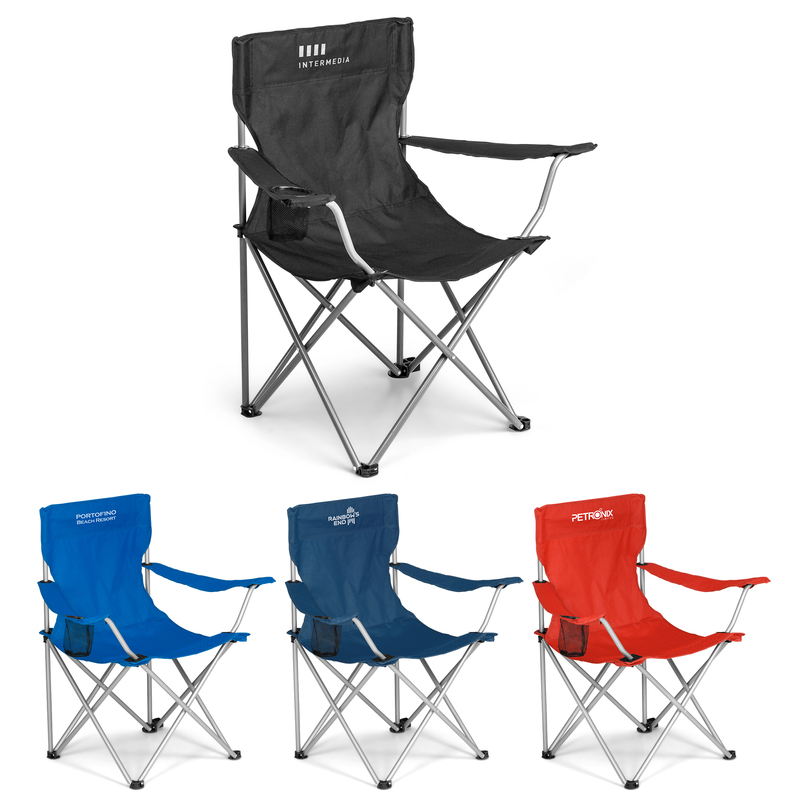 A relaxing promotional chair ideal for outdoors • max weight-bearing capacity: 150kg• umbrella brackets • mesh cup holder • 600D with PE coating & steel frame: 52 ( w ) x 52 ( d ) x 85 ( h ) • 190T carry pouch ( not shown ): 96 ( l ) x 34 ( w ).Year end gifts. 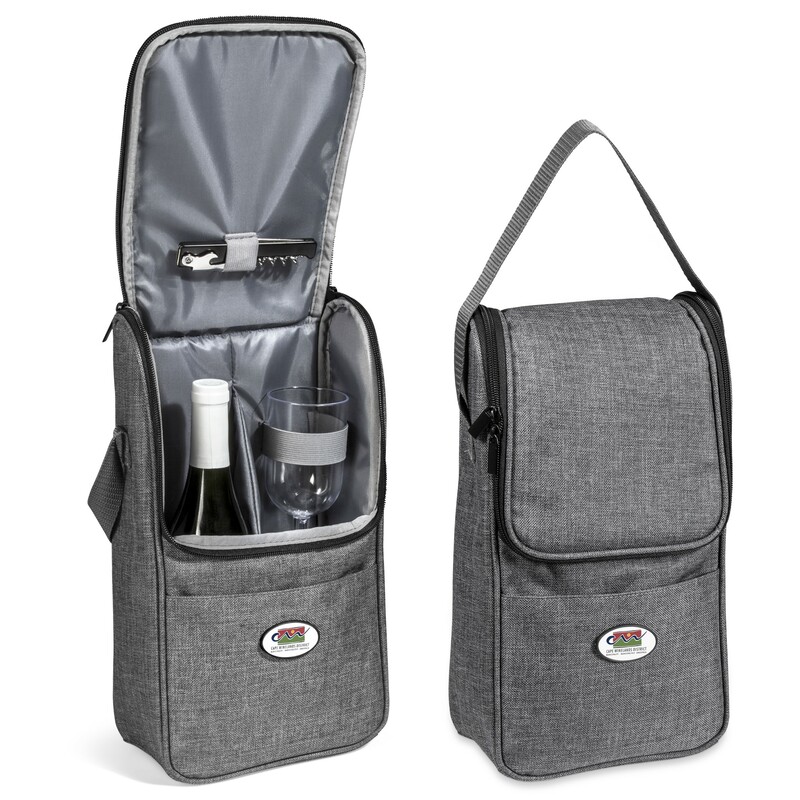 Elegant 2 person set that makes a great outdoor gift in a stylish grey. 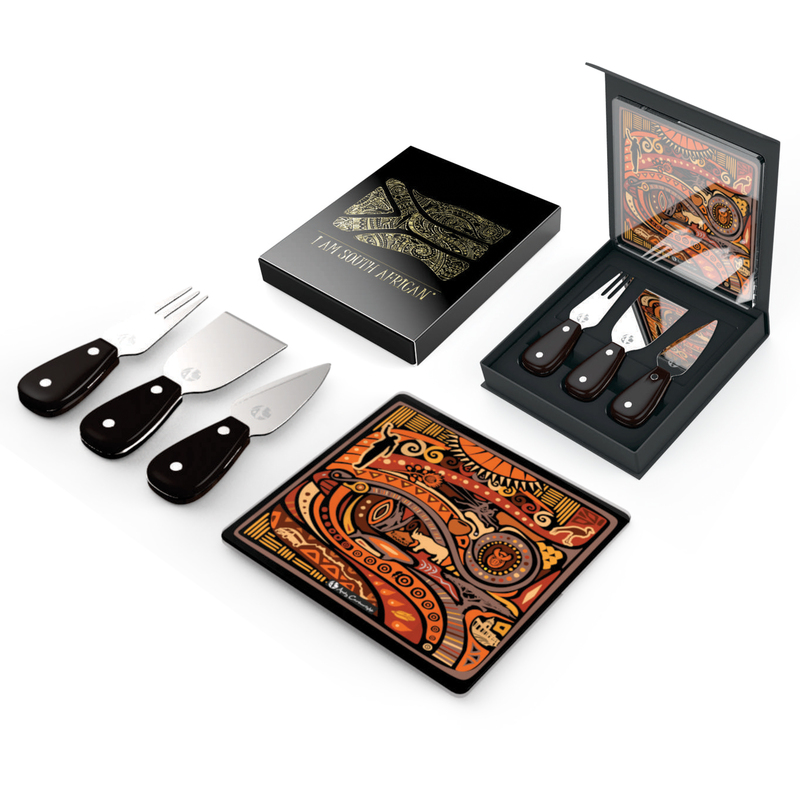 Features: 18/0 stainless steel & black wood BBQ tools / 2 x steak knives & forks . 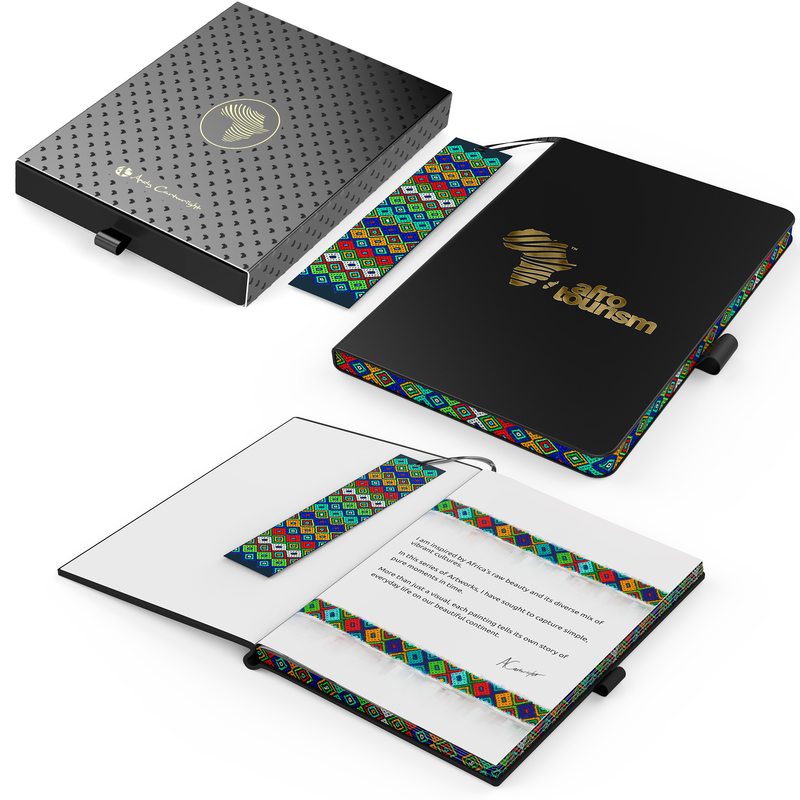 Recessed plaque for domed sticker application attached to case. 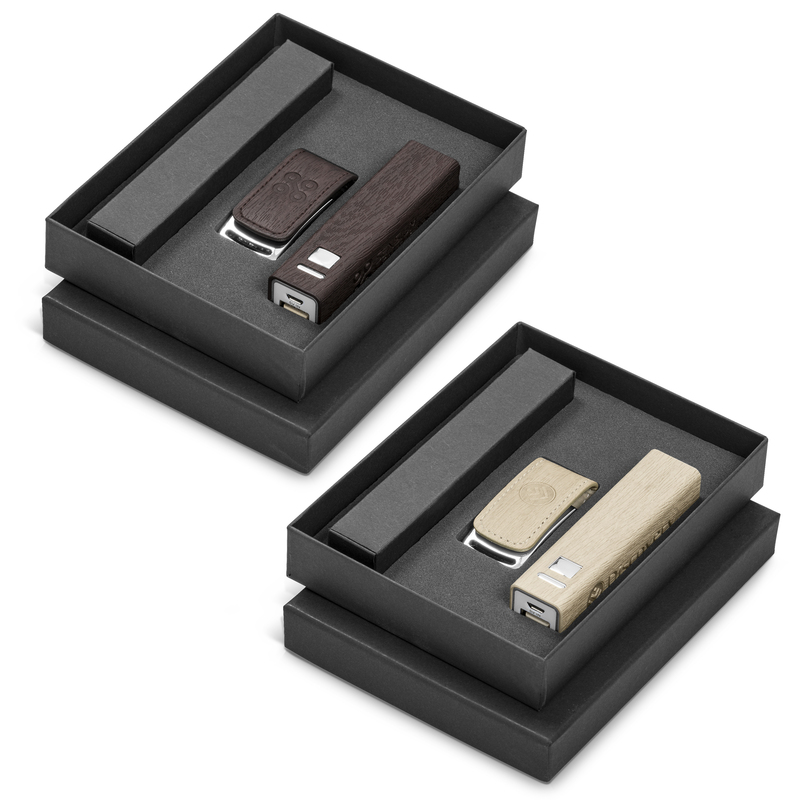 Polycanvas zippered case: 37.5 ( l ) x 18.6 ( w ) x 4.5 ( h ). 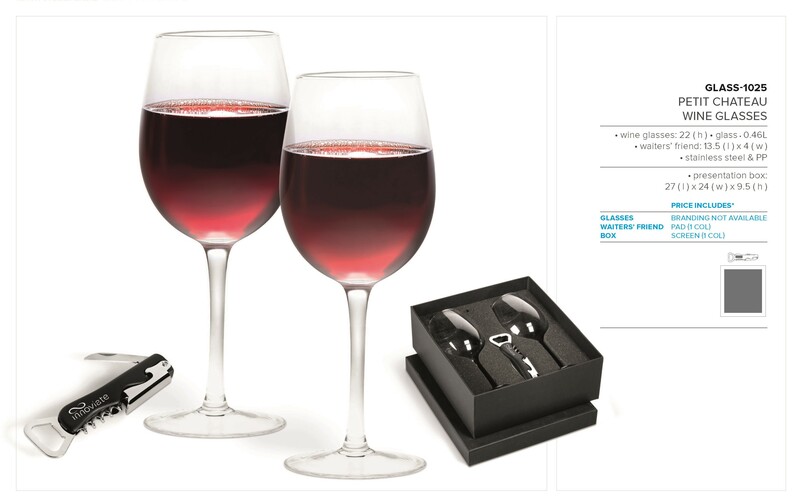 .Look out for the 4 person set – GIFT-9945. Sold separately. 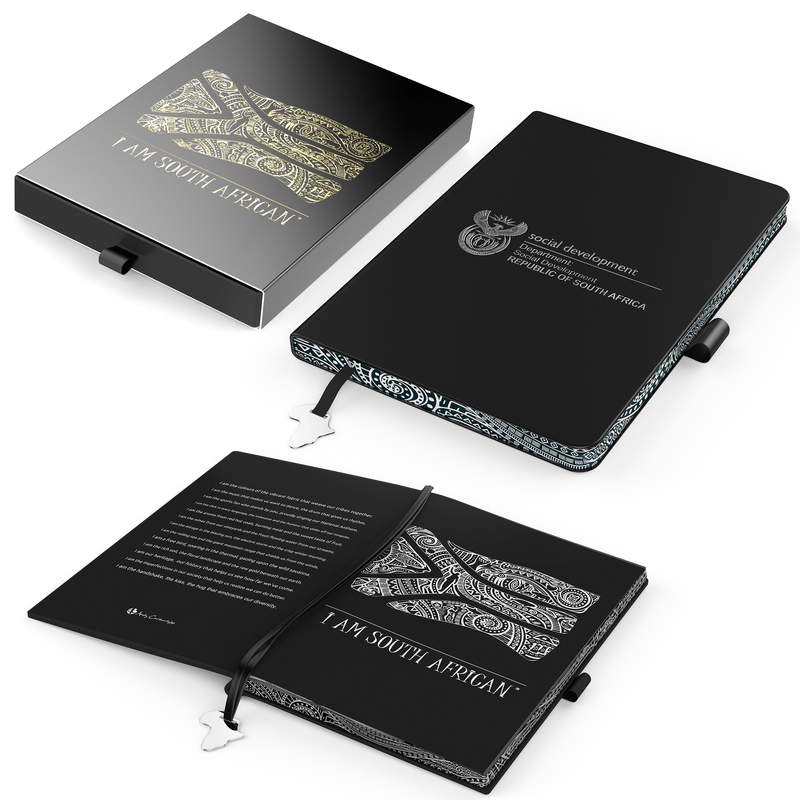 Year end gift ideas. 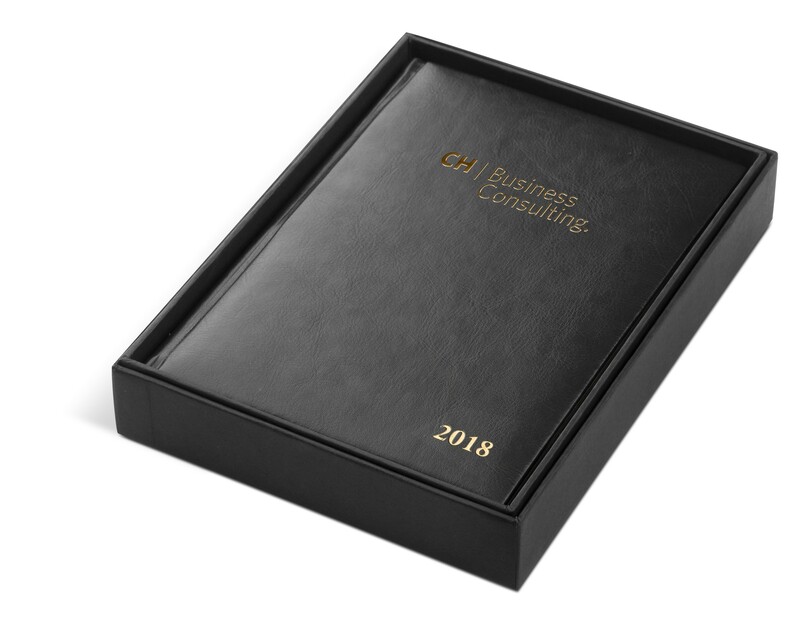 This stunning and elegant gift set, presented in a black presentation box (GIFTBOX-007) includes our 2200mah Renaissance Power Bank (TECH-4625) a matching Renaissance Notebook (NB-9388) as well as the Cypher Ball Pen (PEN-1670). 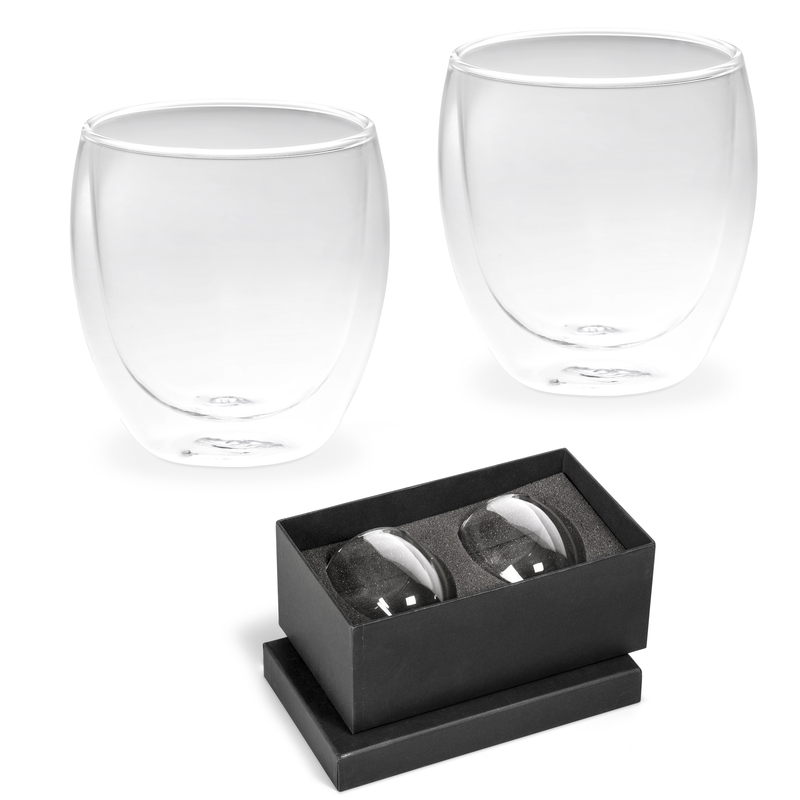 An ultra upmarket set and extremely useful and ideal for a business executive. Three colour options are available to choose from, namely black, brown and navy. 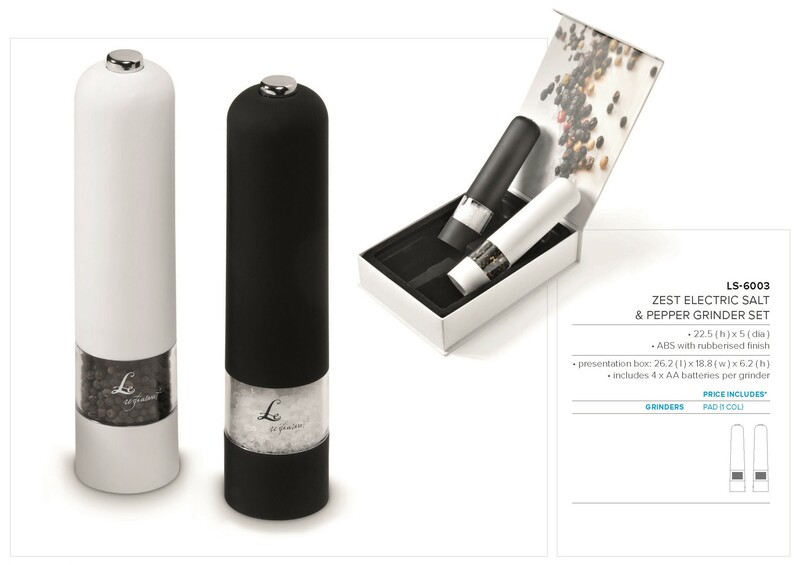 Add flavour to your event with this chic salt and pepper set. 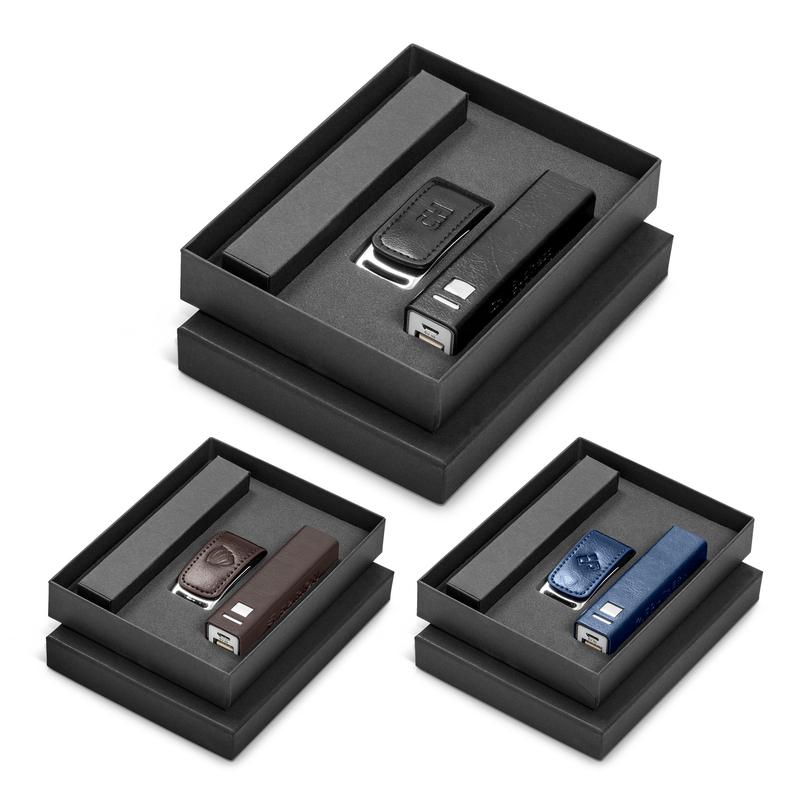 Set is black and white, includes push button and 4 x AA batteries per grinder • ABS with rubberised finish : 22.5 ( h ) x 5 ( dia )• Stunning presentation box: 26.2 ( l ) x 18.8 ( w ) x 6.2 ( h ). 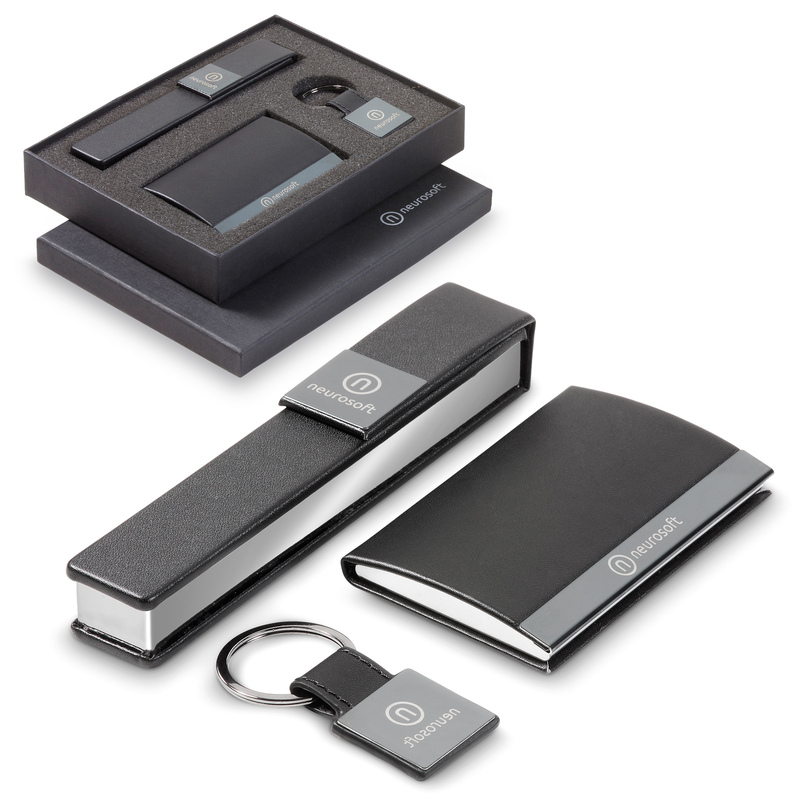 This stunning and elegant gift set, presented in a black presentation box (GIFTBOX-007) includes our 2200mah Oakridge Power Bank (TECH-4635), a matching Oakridge Notebook (NB-9785) as well as the Cypher Ball Pen (PEN-1670). Two wood finish colour options are available to choose from. 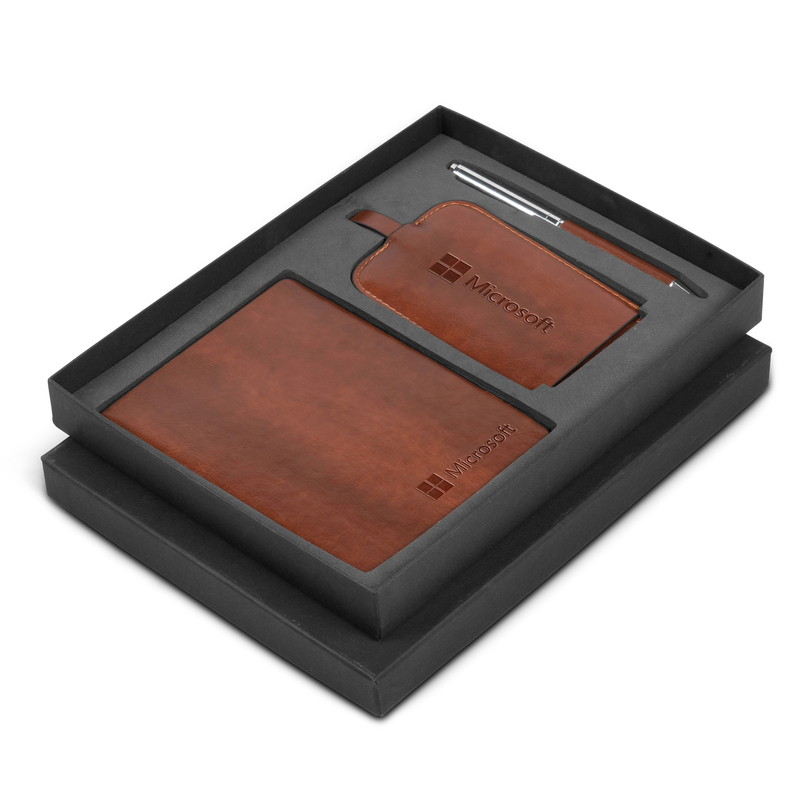 Remember to also have a look at our Giftset-7070 which includes a notebook with a built-in 8GB USB as the only difference to this gift set. 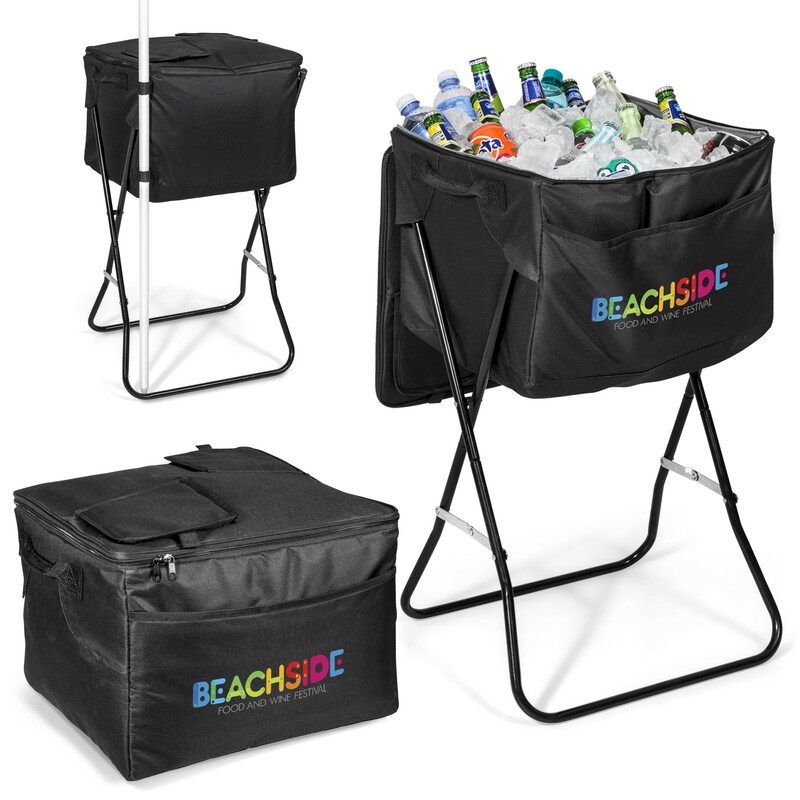 Sure to receive standing ovation, this enormous cooler is ideal in any way imaginable & has a great printing area. Holds as many as 72 cans. Very wide U-zip main compartment with PEVA lining. 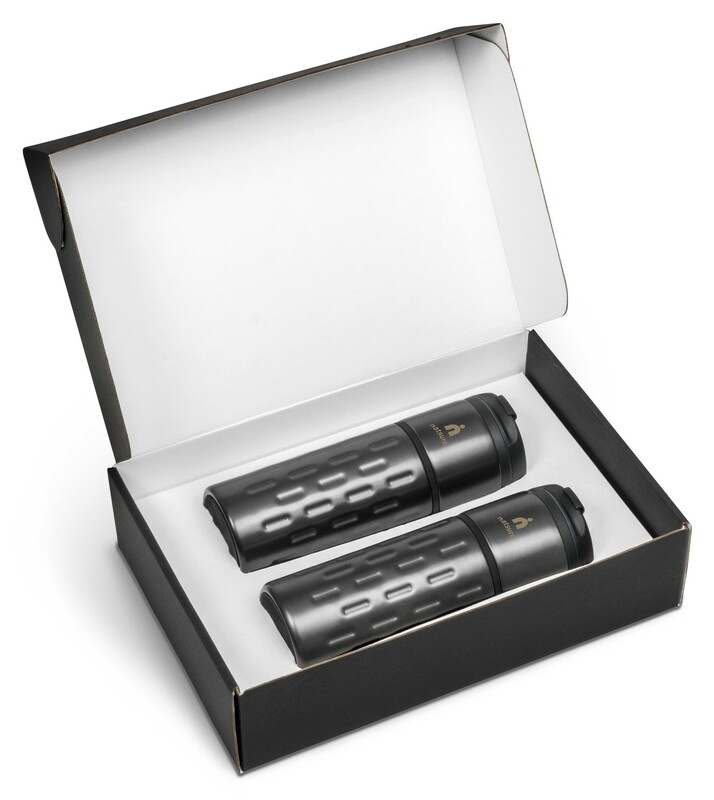 2 very convenient pull tab & Velcro openings that allow quick & easy access to main compartment. Collapsible stand. 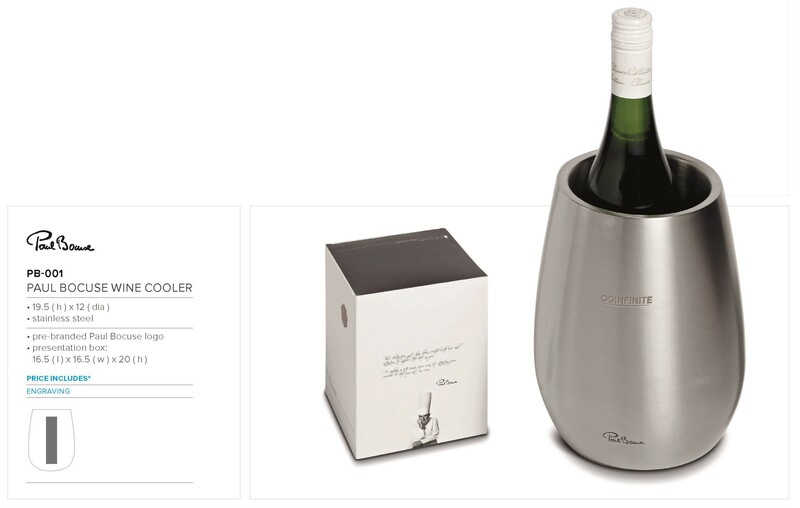 Cooler can detach from stand. Reinforced side handles for easy lifting. 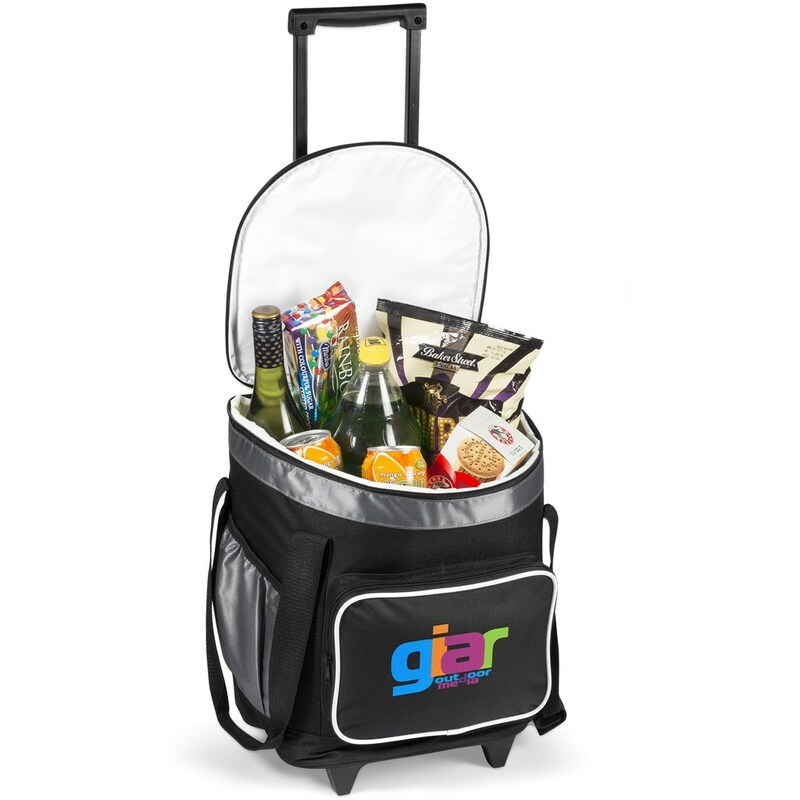 Includes a carry bag that can also be printed on( not shown).Year end gifts. 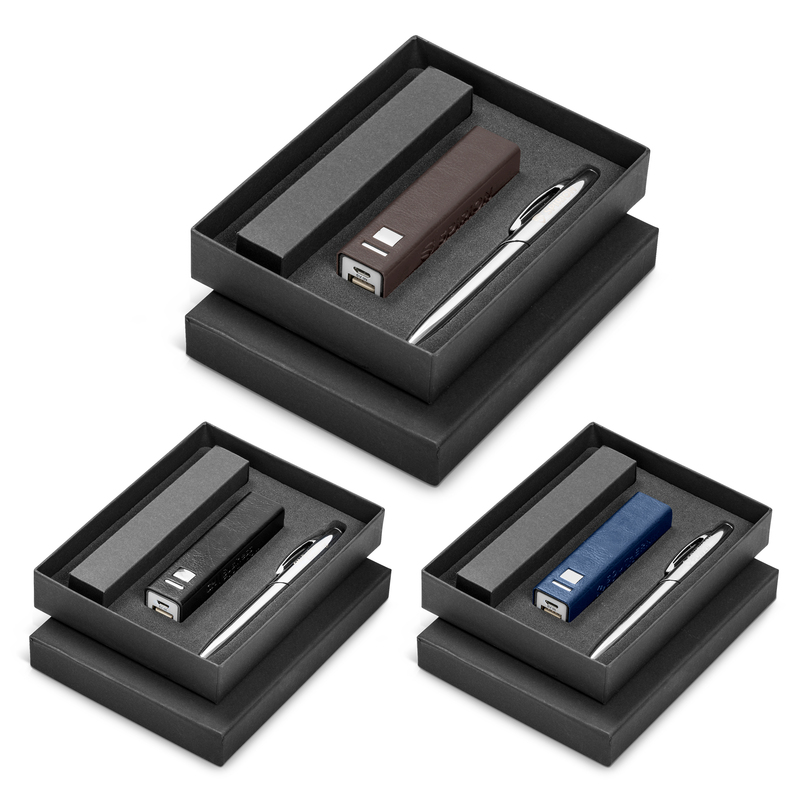 presentation box: 16 ( l ) x 16.5 ( w ) x 6 ( h ).Corporate gifts. 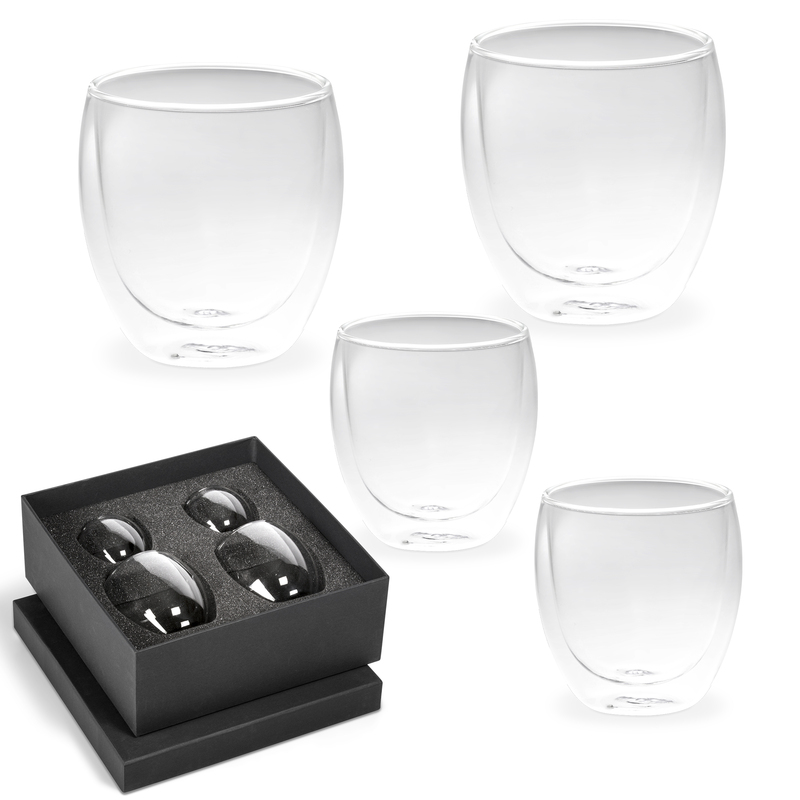 Elegant 4 person set that makes a great outdoor gift in a stylish grey. 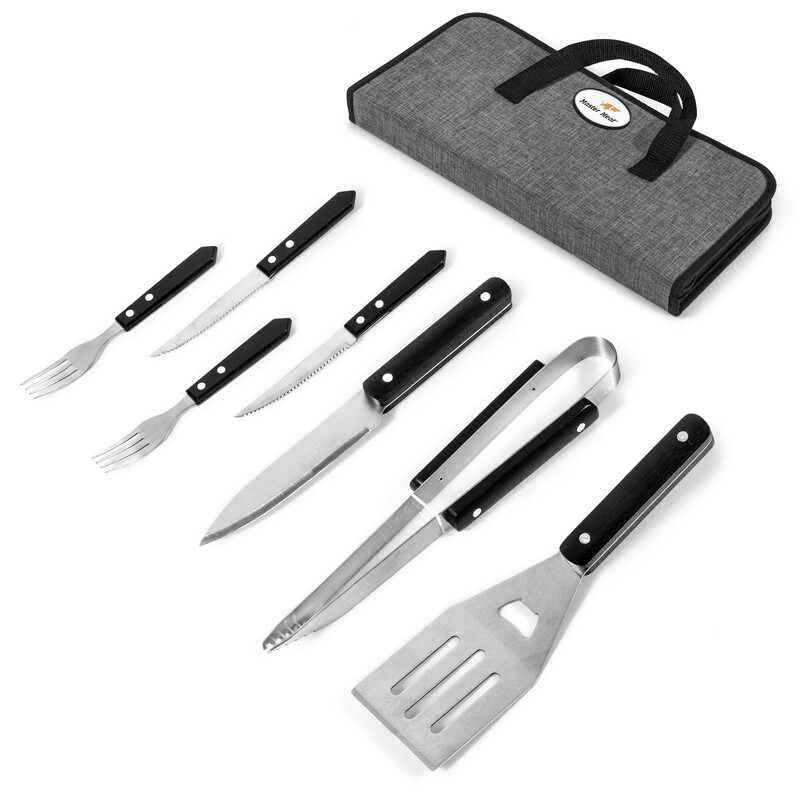 18/0 stainless steel BBQ tools / 4 x steak knives & forks / salt & pepper shakers / recessed plaque for domed sticker application attached to case. 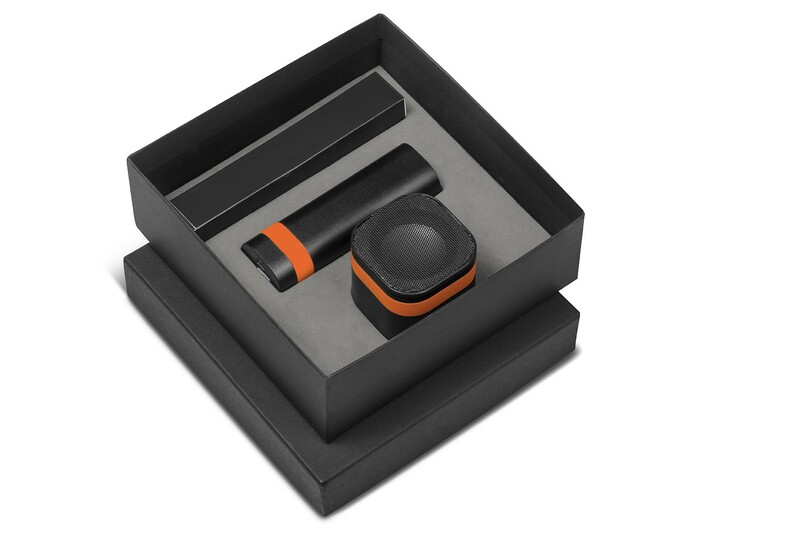 Polycanvas zippered case: 40.5 ( l ) x 23.5 ( w ) x 4.8 ( h ).Look out for the 2 person set – GIFT-9940. Sold separately. 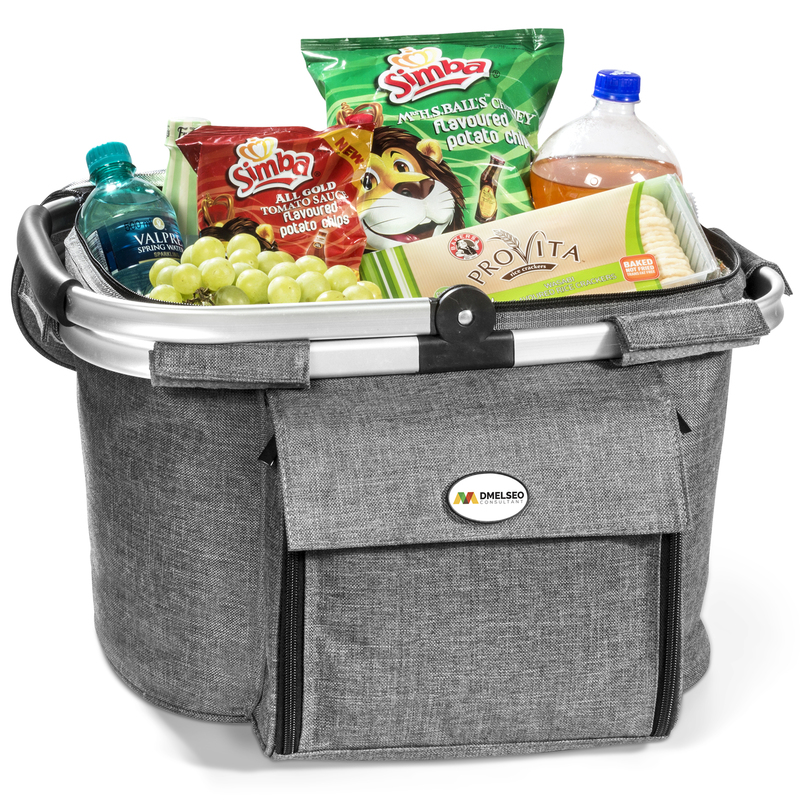 Durable trolley cooler perfect for outdoors. Large main zippered compartment with PEVA lining. 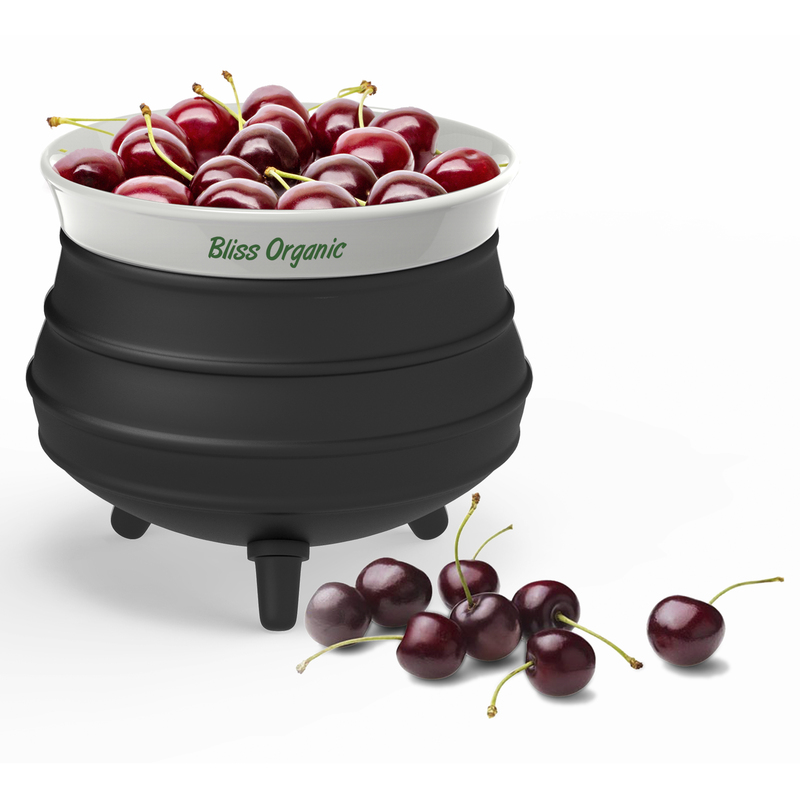 Holds up to 30 cans. Front slip pocket. Side mesh pocket. Reinforced double carry handles with Velcro handle wrap. Telescopic handle and wheels. 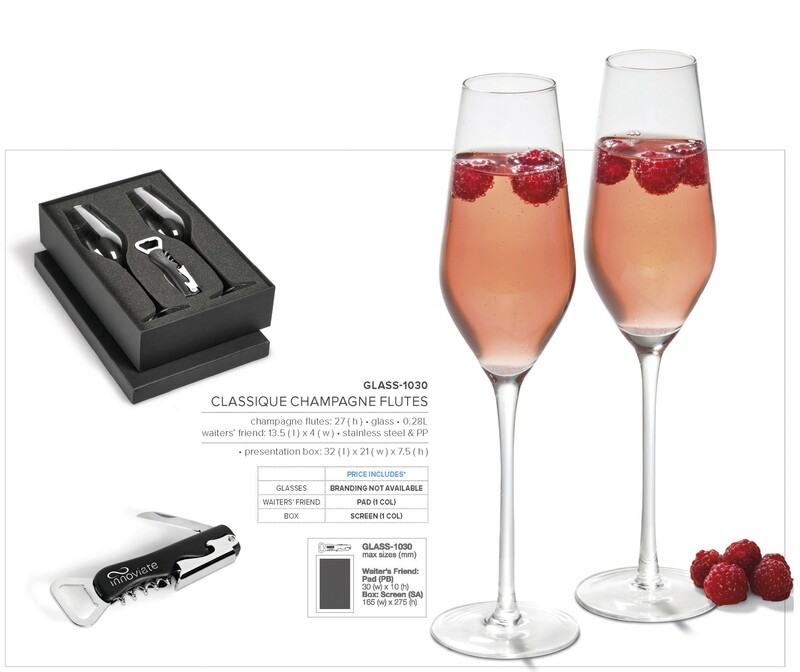 Year end gift ideas. 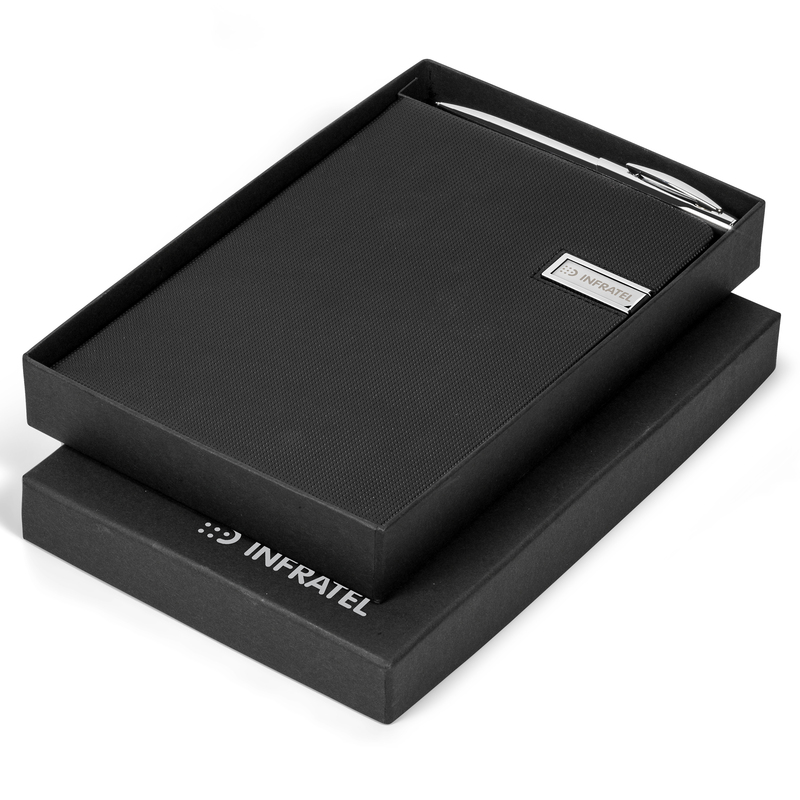 presentation box: 16 ( l ) x 12.4 ( w ) x 3 ( h ).Corporate gifts. Versatile and perfect for two. 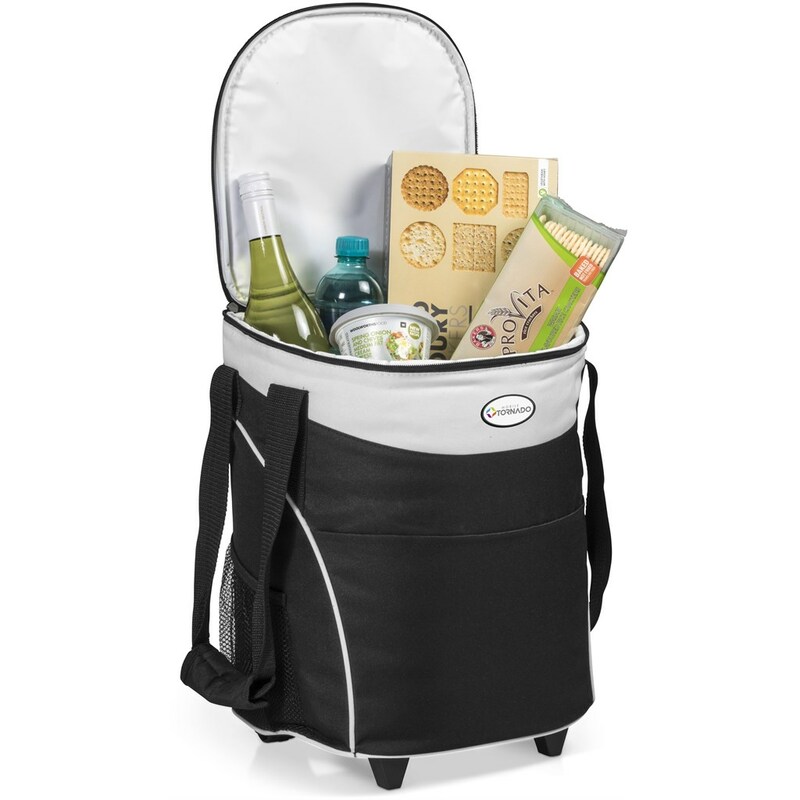 Main large zippered compartment with PVC lining that holds up to 30 cans. 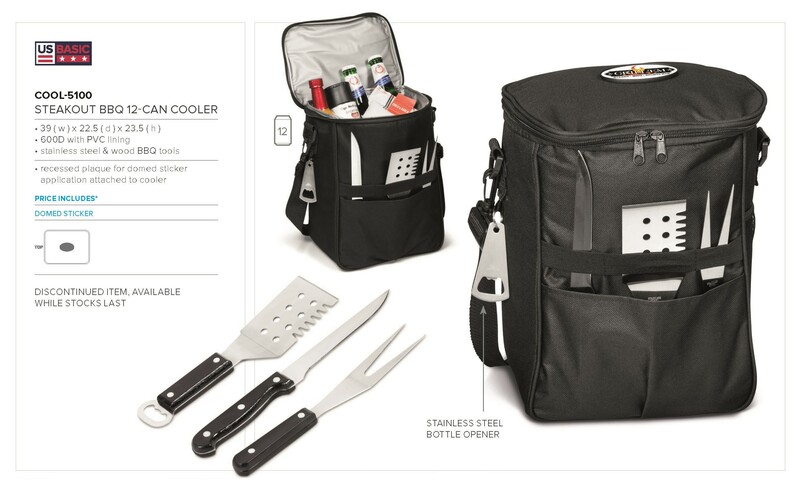 Front zippered compartment equipped with 3 x stainless steel & wood BBQ tools : 2 x steak knives & forks : 1 x waiters’ friend & wooden cutting board : salt & pepper shakers. Small front slip pocket. Side protruding zippered pocket for extra storage. Adjustable, removable shoulder strap. 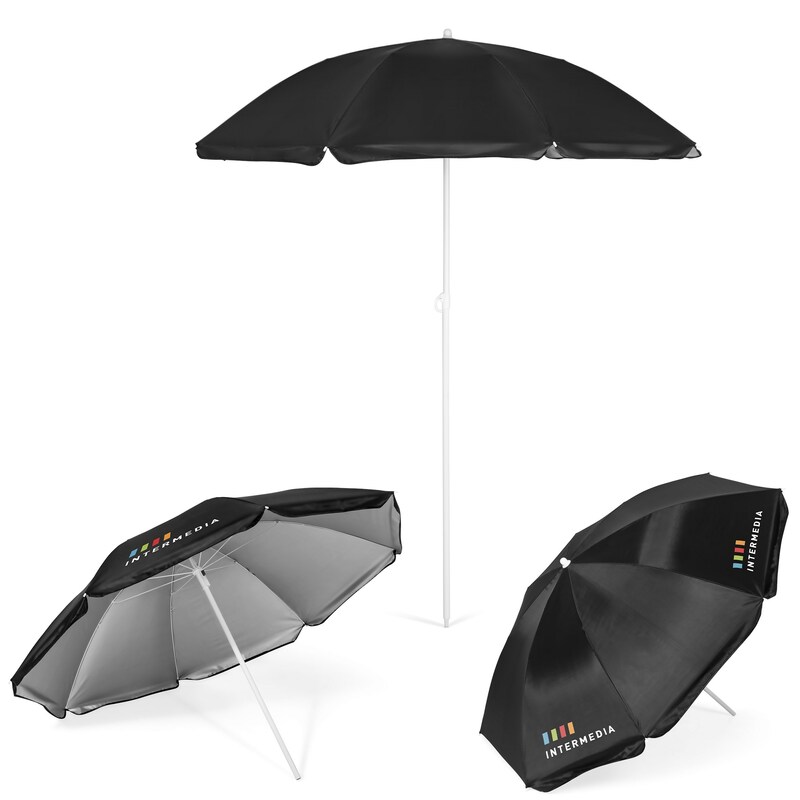 Perfect for outdoor. Holds 24 cans. Wide main zippered compartment with colour accented elastic design for easy access . Protruding front zippered compartment with white piping. Side open contrast pocket. Telescopic handle & wheels. Strong double carry handles with Velcro handle wrap. PEVA lining. 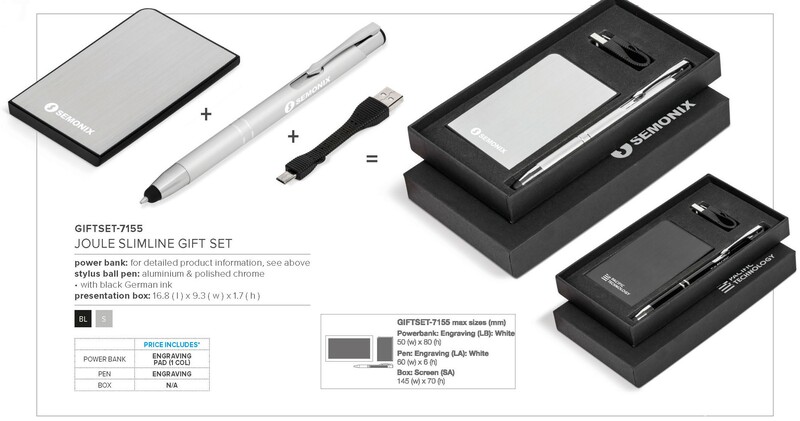 This stunning and elegant gift set, presented in a black presentation box (GIFTBOX-007) includes our 2200mah Oakridge Power Bank (TECH-4635), a matching Oakridge USB Notebook (NB-9780) as well as the Cypher Ball Pen (PEN-1670). 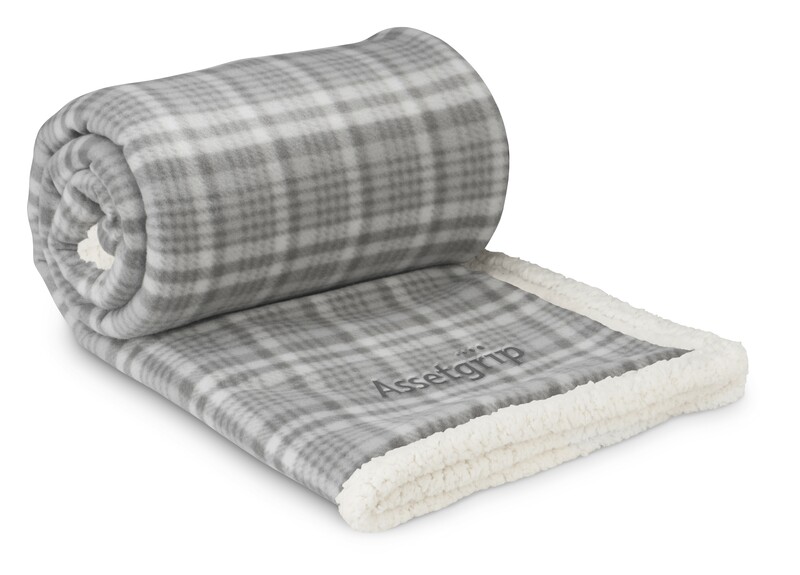 Ideal & stylish in a beautiful grey. 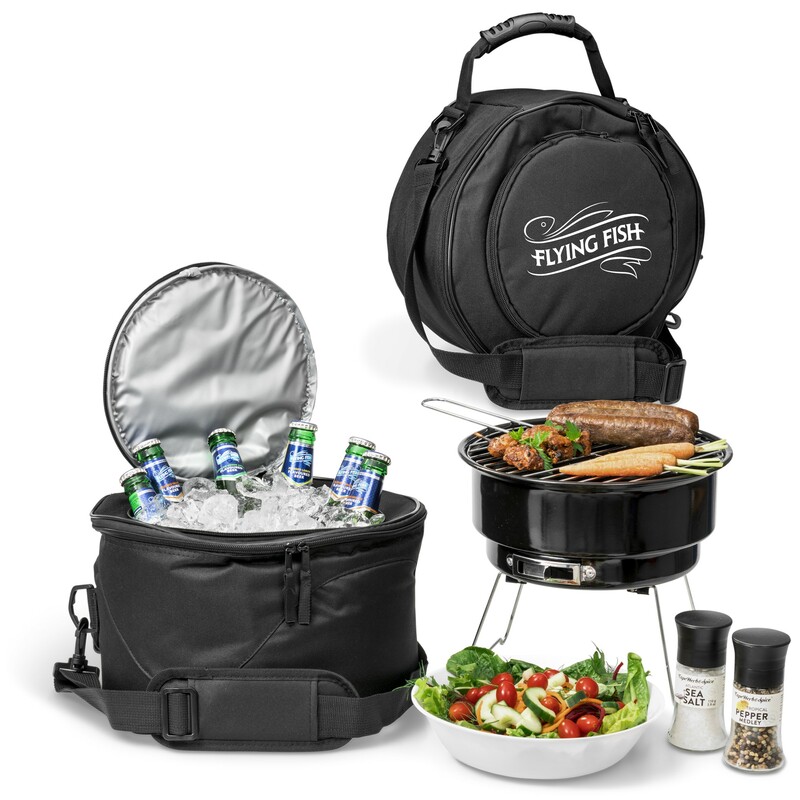 Main zippered cooler compartment with aluminium foil lining. 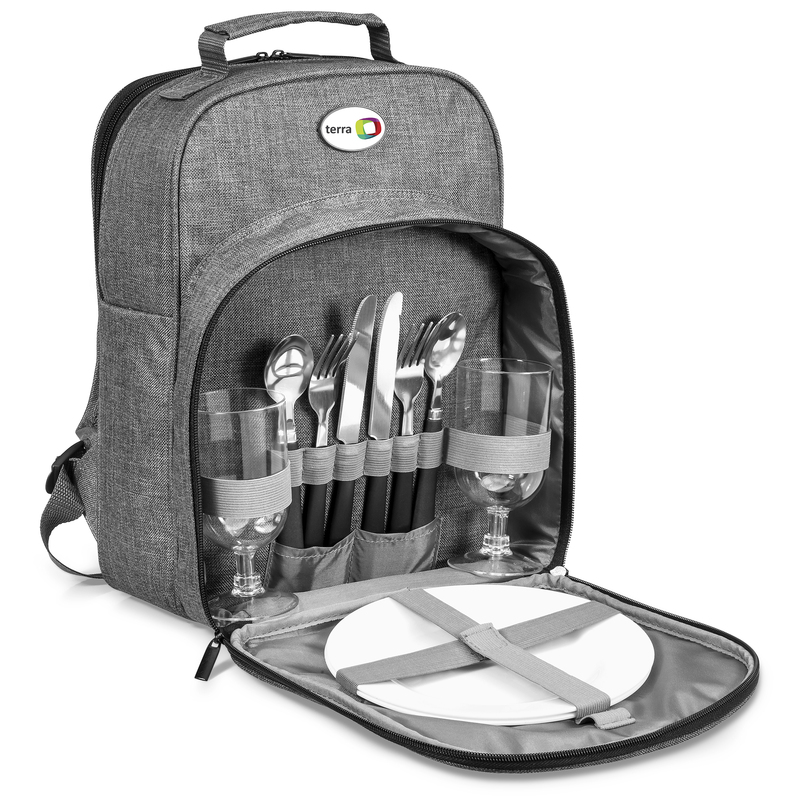 Large front zippered compartment which contains 2 x PS plates: 2 x glasses : 2 x knives, forks & spoons: 1 x waiters’ friend. Recessed plaque for domed sticker application attached to cooler. Adjustable shoulder straps. Top grab handle. 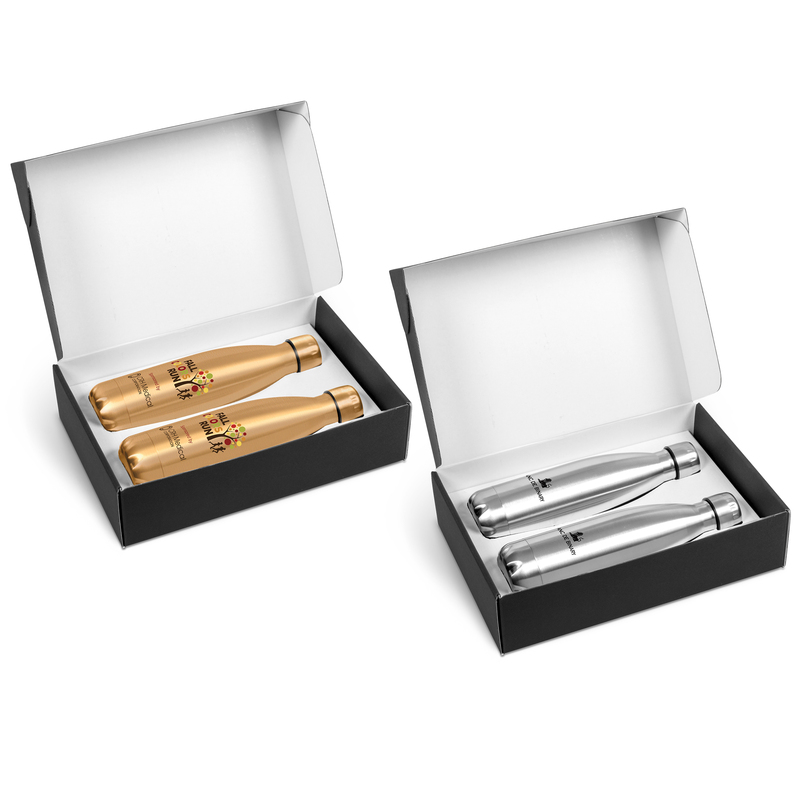 (Check out more from the Avenue Collection – Cool-5140 and Cool-5150).Corporate gifts. 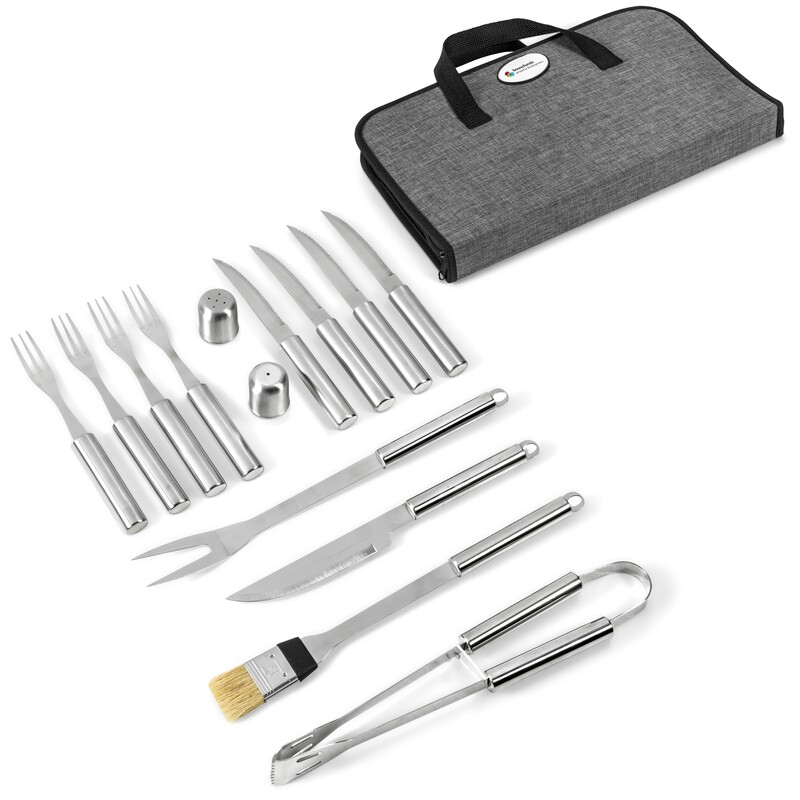 Our long-standing picnic sets is perfect for 4 people. Zippered & PVA lined cooler compartment. 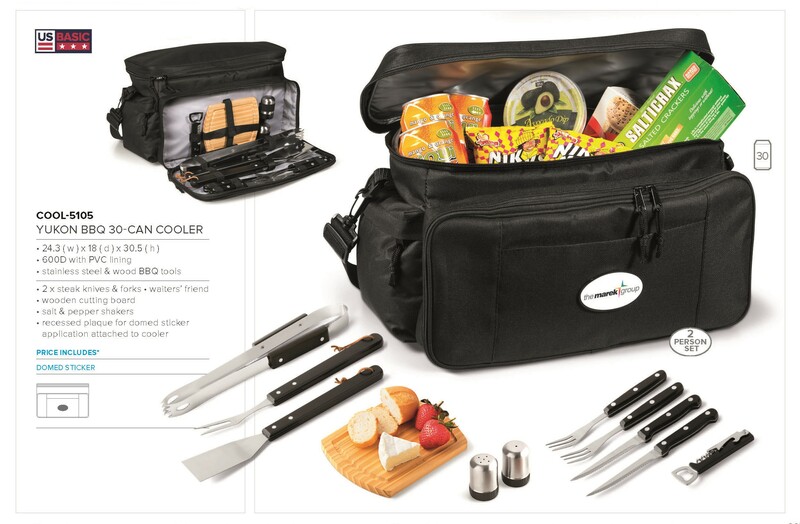 Front Zippered compartment with 4 x melamine plates.4 x melamine plates: 4 x forks: 4 x knives :4 x spoons: 4 x napkins:4 x melamine tumblers. Padded back for extra comfort. Adjustable shoulder straps. Sturdy top grab handle. 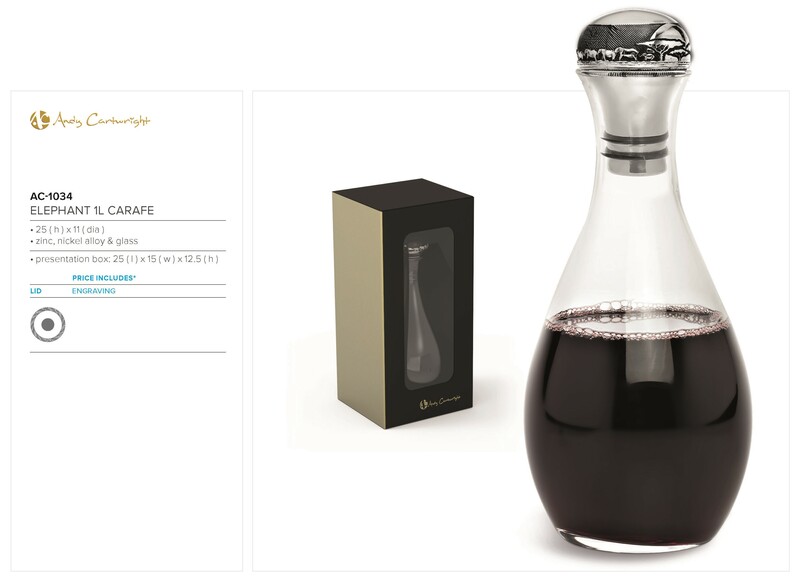 (Wines not included).Year end gifts.